Style and substance: get both with this waterproof jacket by Rains. 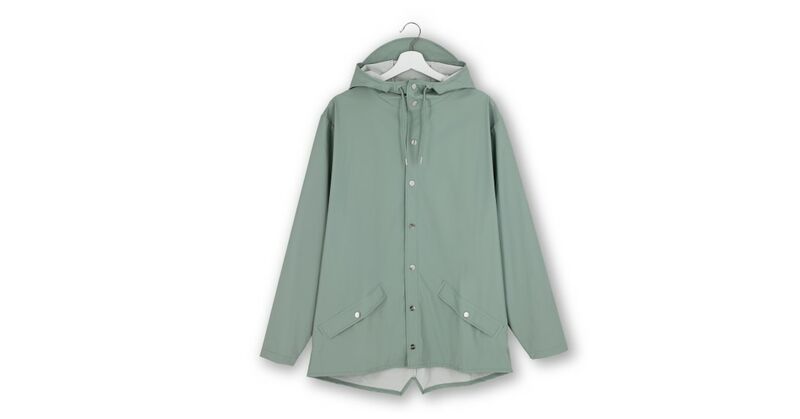 In a subdued but on-trend shade, its casual unisex fit makes sure you'll look cool while staying dry. Influenced by their Scandinavian heritage, Rains designs with an uncompromising approach to simplicity, producing beautiful, waterproof lifestyle pieces. We're big fans. Want a jacket you can rely on when the weather worsens? This one's waterproof (4000 mm/cm2), weather-resistant and breathable. Plus, the hardware's durable, made from stainless steel.